Gladys Dronberger, of Edmond, didn't realize she was owed mineral-rights money until a friend of hers saw her father's name in a public notice. The amount of money owed to Oklahoma mineral-rights owners who can’t be located has exploded in recent years as oil and gas production increased sharply across the state. An Oklahoma Corporation Commission account that holds unclaimed royalty payments for five years has ballooned from less than $5 million a decade ago to a record $53 million last year. In fiscal 2012, the account had more than 262,000 missing mineral-rights owners, with a highest individual amount owed of $329,270. Another account in the Office of the State Treasurer owes about $52 million to mineral owners whom oil and gas companies report they couldn’t locate. If drilling continues to expand, the combined $105 million in both accounts will likely rise. Most owners will never know that they’re missing out on their share of the state’s oil and gas boom. An average of about 95 percent of the Corporation Commission account isn’t claimed by royalty owners during the five-year period the money sits in the account. Do you have unclaimed mineral money? “You could find a pot of gold…!” the Oklahoma Office of the Treasurer exclaims on its web page where people can check a database with names of missing owners of mineral-rights money and other property. The reality is, most of these owners never claim their money. Searching is easy, however: Go to www.ok.gov/unclaimed/index.php and enter at least a last name or the name of a business. The state benefits by using the cash and investment returns from the accounts to bolster the state budget. Portions of returns go to the Corporation Commission, the Treasurer’s office and the state’s general revenue fund. 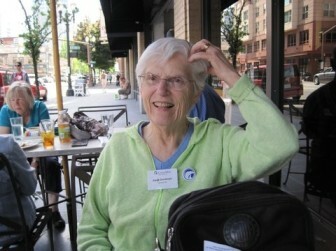 Until recently, Gladys Dronberger was among those missing owners. Several decades ago, her grandfather, John Snyder, was sitting in Calumet drinking coffee with friends when a man drove up and offered to sell the men investment shares in a well. The farmers pooled their money and bought some shares. In the 1970s, Dronberger’s father, Archie Edward Barrett, and his family inherited the investments in the well. Fast forward about 40 years: A friend of Dronberger’s sees Barrett’s name in a public notice and calls Dronberger, who lives in Edmond. It turns out there was still about $100 left in that old well, Dronberger said. Barrett had died in 2005 and left the shares of the well to Dronberger, who said she then gave the shares to her grandson, Preston Dronberger. Dronberger’s case is typical of people who inherit a mineral interest. Some mineral-interest owners have properties that might not have generated any lease or production payments for years, if ever. Property ownership records kept at county clerk offices around the state are not automatically updated when people move from place to place or inherit mineral rights. If the owners don’t make sure the records are current, they may lose track of what they own. That’s particularly true when ownership interests have been subdivided over several generations and when the owners hold the mineral rights only, and not the land, as is often the case. Some interests have passed down through four to five generations thanks to Oklahoma’s storied oil and gas drilling history. When an energy company comes along and decides to lease a property that has no current oil or gas production, it will dispatch “land men” to check county records to determine who owns the mineral rights. For any given property, there might be dozens of mineral owners. “It’s sort of like being a detective,” said Blake Thompson, of Norman, a former land man who now runs MineralOwnerMart.com, a website that allows mineral owners to advertise properties available for lease or purchase. If the land men can’t locate one or more of the fractional owners because the information is out of date, the state will allow the oil company to go ahead and lease the land and drill a well under a “force pooling” arrangement. Land men typically check court records and search online to locate names and last-known addresses. Under state law, the only effort oil and gas companies are required to make is to send a letter to a mineral owner’s last-known address. The missing owners’ share of any lease bonuses and production payments are given to the state, which keeps the money until the owners step forward to claim it, no matter how many years pass. The amounts of money owed to individual owners range from less than $1 to $329,270. 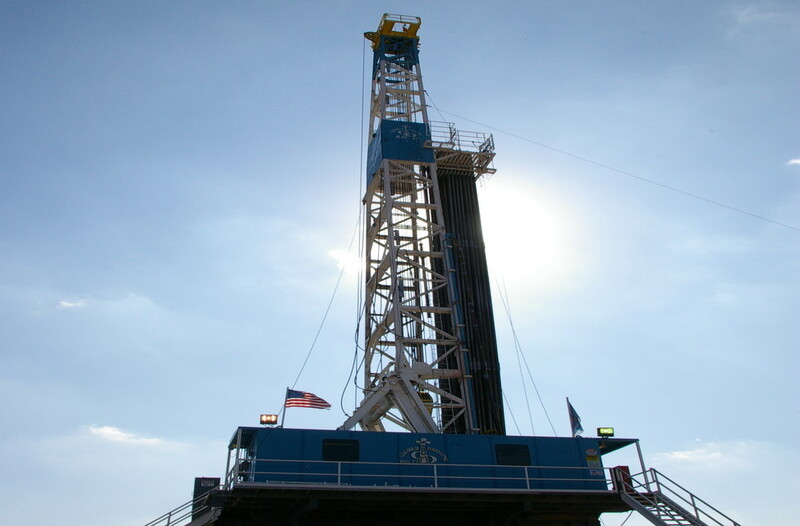 Most people with substantial mineral rights know what they own and do what is necessary to make sure they receive their share, said David Sikes, past president of the Oklahoma chapter of the National Association of Royalty Owners. Missing owners tend to have smaller interests and aren’t even aware they are owed money, he said. The unclaimed accounts have swelled in recent years because of a boom in leasing activity and oil and gas production from new wells. Oklahoma now produces more oil and natural gas every month than it has in at any point in the preceding 19 years, according to the U.S. Energy Information Administration. The boom is largely attributable to the advent of horizontal drilling technology, which has opened the door to drilling in shale formations where traditional vertical drilling was not considered feasible. State officials say among the reasons most royalty owners never claim their payments is that they have no previous experience with the oil and gas industry or don’t know they have mineral interests. Nevertheless, the state must hold their money indefinitely. The Treasurer’s Office says one of its entries dates back to 1974. If the owner ever steps forward, he or she will receive a whopping $7.44. The state began keeping track of mineral owners in 1967. Even when owners do file claims to retrieve payments, they end up with less money than they were originally owed. The state charges a 10 percent fee when the money is first deposited from force pooling leases. The money also diminishes in value over time due to inflation. Owners get none of the interest or investment returns. The state is required by law to publish a list of the newest names of mineral owners who can’t be located twice a year. The Treasurer’s Office maintains an online database, searchable by name, listing all unclaimed deposits and whether they are worth less or more than $100. It also sets up booths every year at the state fairs in Oklahoma City and Tulsa, where people can check the database. The state stores the money in two accounts. When oil and gas companies make payments owed to missing mineral owners in force pooling agreements, they deposit it with the Oklahoma Corporation Commission’s Mineral Owners Escrow Account. The deposits remain in that account for five years. Then they are transferred to the state treasurer’s Unclaimed Property Fund, from which the state can borrow. The Unclaimed Property Fund also receives other direct mineral-rights payments from oil and gas companies. Typically, in these cases, the companies have lost track of mineral owners who had already struck a deal with the company. Almost every year, the state borrows from the fund, which also includes money from abandoned bank accounts, unclaimed paychecks, stocks, utility deposits and other sources. During each of the last four years, the Treasurer’s Office has made $10 million of the deposits available for appropriation by the Legislature. The Legislature has also dipped into the fund periodically to plug budget gaps. During the last two years, those allocations totaled $42 million. Between the two accounts, if every person owed funds stepped forward at the same time to claim their share, the state would be obligated to pay out about $350 million, said Tim Allen, spokesman for the Treasurer’s Office. That is more than two and a half times the available cash. About $105 million of that belongs to mineral-rights owners. Ultimately, it’s up to mineral owners to make sure county records are up to date and to determine whether they have unclaimed property in state accounts. Keeping track of mineral owners has been a problem for as long as there has been oil and gas activity in the state, said Dean Martin, owner of Oklahoma Mineral Owners Registry, a for-profit firm that charges royalty owners a $35 annual fee to list their name in a mineral-rights owner database. The database can be searched for free by oil and gas companies. Back in the 1910s and 1920s, people would trade mineral rights like they would donkeys and horses, said Martin. “A lot of people accumulated mineral rights back then, and they forgot they had them and they die. The next generation doesn’t know they have it and they move to California or Washington and they forget about Oklahoma,” Martin said. Below is a map of Oklahoma counties showing unclaimed mineral rights holders by last known address. White counties indicate zero owners, while blue shows a range of holders from 1 to 36,424 persons, with darker showing higher densities.